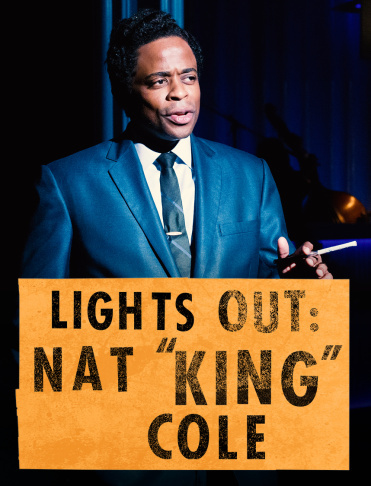 In this highly theatrical exploration into the soul of an American icon, Tony and Olivier Award-nominee Colman Domingo and Patricia McGregor imagine Nat "King" Cole as he faces the final Christmastime broadcast of his groundbreaking variety show and weighs the advice of his friend Sammy Davis Jr. to "go out with a bang." Songs such as "Nature Boy," "It's a Good Day" and "Unforgettable" underscore this innovative look at one of America's greatest talents. Starring Emmy Award-nominee Dulé Hill as Nat "King" Cole and Daniel J. Watts as Sammy Davis Jr. The Geffen Playhouse is a not-for-profit arts organization dedicated to enriching the cultural life of Los Angeles through plays and educational programs that inform, entertain and inspire.